A few weeks ago I told you my favourite saving tips from other travel bloggers and talked all about saving before you travel. Today I thought I would talk about how to save money while travelling as this will certainly affect your overall budget for the trip. I love travelling but the whole time I travel I feel like I’m constantly keeping track of my budget and figuring out new ways to save an extra few dollars, so here are my top ways to maximise travel on a budget and squeeze an extra few beers out of your dollars. The one thing I always find catching me out is fees on money. Be it the atm fee or the conversion fee something always leaves me feeling sour. Most recently it was when I had to transfer my Aussie dollars back to British pounds and ended up with an awful exchange rate. Money travel cards are the best way to use money abroad but even with these, fees vary a lot. Try choosing a card that offers a set rate and no additional atm fees. Imagine withdrawing money from an atm only to be charge by the atm and your card company! Credit cards are also a good way to earn air miles and rewards Credit Card Insider have a good run down. Personally I’m not very good at offers because I like to be so flexible with my plans I don’t like to book things up in advance and the best offers normally require this. However I have come across a few good ones on the spot like when: I visited the Talisker Distillery in Scotland but arrived too late for the tour, the kind guy behind the counter gave us some books which entitled us to free tours in 12 distilleries over Scotland all we had to do was fill in a form to receive this offer. Simple offers like; 2 for 1 entry that they offer on the side of cereal packets in the UK is another great one. Do your research, when booking accommodation I will often spend at least 30 minutes comparing sites (hostelworld and hostelbookers) and reviews of different places. I would then start looking at the location of the hostels/guesthouses. Would I need to get public transport to the cheaper hostel? Would this then make it more expensive? Was there a decent guesthouse within walking distance of the bus stop? Or would they offer free pick up? Things like this will only save you a few dollars here and there but it all starts to add up. As I just mentioned the main sites I use for booking accommodation are hostelworld and hostelbookers and the main things I look for when choosing the accommodation are price, location, do they have 60% or more on their reviews and any freebies. Somewhere that offers free breakfast is always a winner in my book. Before choosing to sit down somewhere to eat I will look at the menu and check the price of a few places. This is especially a good idea when you are in a new country and unsure of the prices. In places like South East Asia it will certainly be affordable to eat out every day however in countries like Australia or New Zealand you will find buying food from the local supermarket and cooking it in your hostel kitchen is much cheaper. In general street food will always be cheaper than a restaurant, if your hostel offers free food make sure you take advantage but arrive on time and always check a few prices before deciding on where to eat. The one thing that is free everywhere is walking, not only that but it is the best way to see a place especially if you are short on time. Try choosing attractions that are within walking distance of each other and you’ll easily achieve it all in the day. Otherwise some cities will offer free/donation only tours around the city which will help save you a little, tours with locals will often give you more ideas of budget saving options. Also look out for galleries, museums etc that have free admission – don’t forget a lot of places offer student tickets too. You never know when you might find other free gems too; for instance in New York the Staten Island ferry is free and gives you incredible views of the city and Statue of Liberty as you cross the water. I think local knowledge is probably the best tip of all, they will know all the local hacks especially if they often host tourists like Airbnb hosts. They can point out not only the cheapest but also the best value for money places to eat – sometimes locals can also get you better treatment in a place. Do be wary in South East Asia and similar places where everything is done on commission though. Without local knowledge I would never have known about the Staten Island ferry trick or that a certain taxi company is cheaper. You also never know what new travel experiences will open up because you have gotten to know a local. Walking to this view point in Ko Phi Phi was completely free and look at the reward. So there you have it, some of the everyday tips and tricks I use to maximise my travel experience on a budget. Of course you will always be able to do more on a bigger budget, I still think even if you have a small budget you can have an awesome experience. Consider things like; visiting cheaper countries or less well known cities, countries with a good exchange rate to your home currency and look at couch surfing or house sitting to limit your accommodation costs. 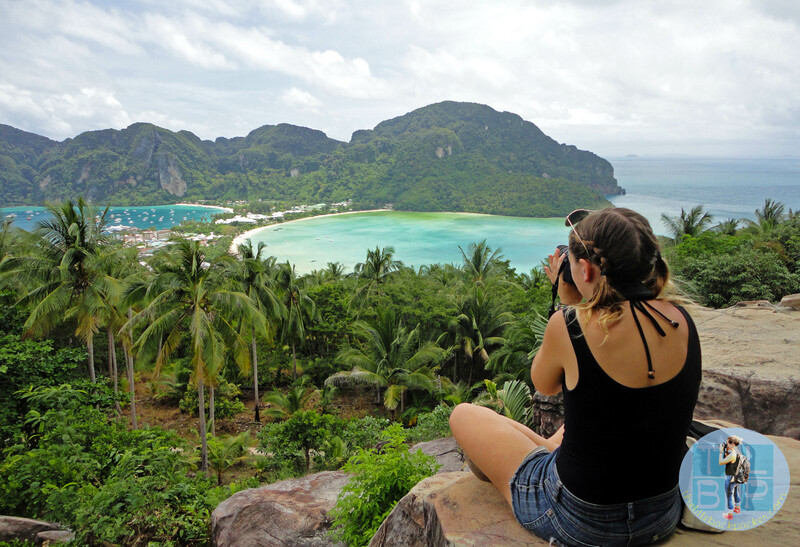 There are so many ways you can still travel on a small budget so don’t let it stop you. It’s so nice when somewhere offers free admission or student discount. I still carry my college ID! Nice blog! I totally agree with that, local people knows everything about their place. Thanks for these tips!